News is, Marina Hands (Best Actress 2007 French César) will be playing the role of Coco Chanel in the film adaptation of the book Coco&Igor by Chris Greenhalgh. 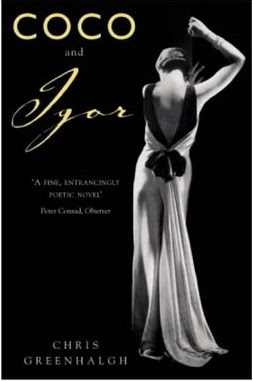 The book and movie details the story of the passionate affair between Coco Chanel and the composer Igor Stravinsky. Apparently, the two had an "instant and electric" attraction so much so that Coco invited Igor and his entire family to stay with her in her new villa in Garches. Thus began the affair that developed and was consumed right under Mrs. Stravinsky's nose! How scandalous! 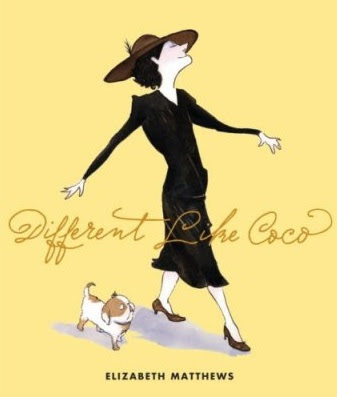 In the works as well is a movie about Coco before she became famous, with the title role to be portrayed by French actress Audrey Tautou. According to the director Anne Fontaine, as told to Le FIlm Francais, "I wanted to follow the interior path of this young woman who was poor, without education, but who had an uncommon personality that was ahead of her time." Remember though that this particular piece of literature is targeted towards kids aged 5-9, so expect a charming read aimed to inform and inspire young girls about a truly individual character as Coco. She lived a true rags to riches story, a tale of triumph over adversity! Imagine, from a poor, thin, orphaned girl, she managed to rise up from her wretched existence to become the most influential designer in the world of fashion, up to now! Highly ambitious, she made do of what she had to get the life she had always dreamed of. Of course, the book must have downplayed the fact that she was said to be a kept woman, among the other salacious gossip surrounding her controversial but still glamorous life...General Patronage remember! Hahaha! Get this for your daughter, niece or goddaughter! She will learn that the odds can be beaten. She doesn't have to be born rich, conventionally pretty, or with a body shape that is currently in vogue to be successful. If she has ambition, makes wise use of her brains and talents, and believes in herself, then its ok to be "Different Like Coco". "Fashion is made to become unfashionable!" "Luxury must be comfortable; otherwise it is not luxury."